So your new, professional website is up and running, or is about to go live. Woohoo! You can go and share your new website with all your friends, family, clients, customers and their dogs. However, after the initial excitement of your shiny new website, you might find it is suddenly difficult to get it off the ground. You have no traffic once you have finished shouting about it, sales and enquiries are low or none existent, and you’re not sure why your website isn’t performing to the potential you know it could. This is why you need a marketing strategy that will work for you. A new website can sometimes take a while to gain momentum when it comes to sales and enquiries. There are however marketing techniques that can speed up this process when you can’t afford to sit and wait for your business to come to you. How will you know that your efforts are paying off if you don’t have access to your analytics data? Google analytics provides you with valuable website insights and allows you to analyse data such as how users have landed on your website, the pages they looked at and the time they spent on those pages and whether they purchased from you or completed a goal such as filling in a contact form or downloading a white paper. You can compare your website performance to a previous period to see how your marketing efforts are affecting your traffic or conversions. Find out more about implementing Google Analytics. The content on your site is very important. This includes the copy on your pages, images, blogs and any downloadable material. Are you giving your audience the information they want? Creating quality content that is relevant to what you do or what sector you’re in is vital to your website and how you rank for SEO and set you apart from your competition by offering something engaging and useful for your users. Take a regular look at your analytics account and see which content is performing well so you can learn from this to improve the rest of your content and take your time to plan an effective blog content strategy. SEO is the process of increasing your website’s visibility in the search engine’s organic results through optimizing your web pages and content. If your website is not ranking well on Google, the first thing to consider is your Onsite SEO. This is the process of making your website search engine friendly by adjusting certain elements on your website. A few things you could focus on for onsite SEO are your title and heading tags (H1, H2, H3’s…), your meta descriptions and title tags, and think about extending your content and making it more relevant and readable. Consider also including links to the rest of your content to keep your audience engaged with your website and to help them navigate their way around. To be successful in your social media marketing, you want to be consistent on your channels to show yourself as active and engaging. If you’re new to social media, you should consider trying a variety of different types of post to find what your audience responds to. This may include entertaining posts about your sector that will encourage a reaction, educational posts to show your expertise that will grow brand awareness, or sharing blog posts or products to drive traffic through to your website. Facebook uses information from users to help you market your business towards them. This means you can choose who you market to based on demographics, age range, occupation or even interests and you can set an ad to run in just the time your users are more likely to buy. Facebook advertising can increase brand awareness with the right message, or drive traffic through to your website or products and lead to more sales or conversions. PPC stands for pay-per-click. This is when advertisers pay a fee each time one of their ads is clicked. Essentially, it’s a way of buying visits to your site by appearing at the top or on the first page of a search term. Paid search is the fastest way to get new traffic, and most digital marketing strategies now include an element of PPC to get your website off the ground quickly. You can also use Google’s Keyword Planner Tool to help you identify new search terms and opportunities. Air Websites are built completely SEO-friendly with mobile-first design, giving your website a great head start with your marketing. However, if you have a new website which isn’t giving you the sales or enquiries you would like it to, we can help. 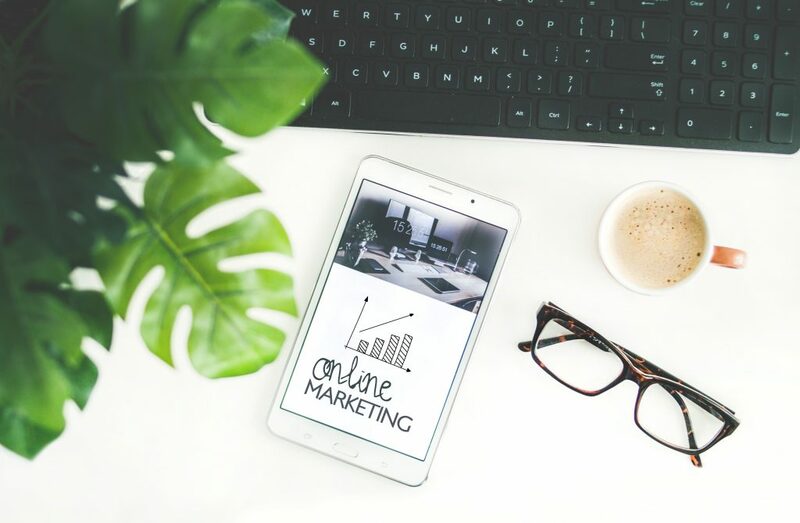 Our marketing team can assist you with everything from SEO to paid advertising and work with your budget to find the marketing solution that best helps your business. Get in touch with us today.